If you are booking Alan for your event, make sure you put your best cutlery out of sight – he melts them just by looking at them. 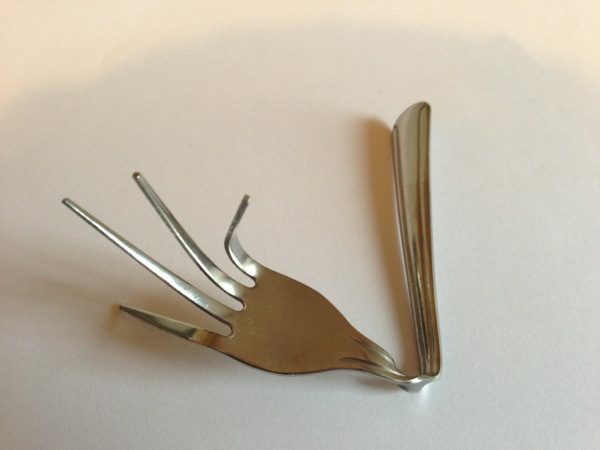 They end up as a great giveaway for guests – imagine examining a fork, signing it and the having it bend right in front of your eyes. You can even hold it in your own hand – it will still bend. The forks are 100% ordinary, and here is the best part, at the end – you get to keep the fork and take it home with you. It makes a fantastic gift on the evening and an even better reminder after of the party.